Another line of limited edition co-branded items is this sick 2-piece pad set. Using sublimated graphics, it’s loaded with killer imagery. Get it while you can, these pads are limited to one production run and will be in high demand. 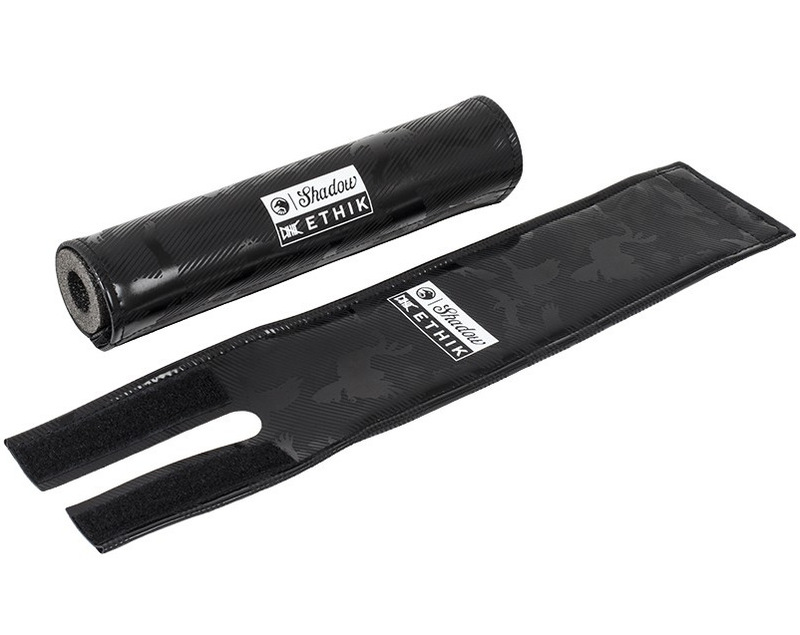 "When asked to collaborate with a brand such as Ethik, there was no hesitation. Ethik's roots and ideas were formed in the same way Shadow was created all of those years back. We both thrive on the idea of creating a unique concept with quality art and materials. With Shadow Rider Matt Ray being a part of Ethik and the combination of our style/ideas, the 'Dark Athletic' Line was born." Includes the 9" handlebar crossbar pad and stem pad.